Which surprise is Nagarjuna talking about? 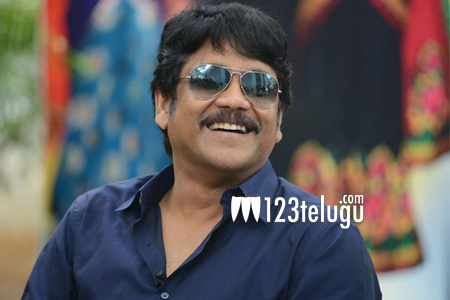 Ever since Akkineni Nagarjuna came out on his Twitter handle and revealed that there is a huge surprise that he is going to share on the 23rd of this month, a huge debate began as to what surprise is Nag talking about. Will he reveal about Naga Chaitanya’s engagement date or announce any of his film’s exclusive details, such questions were asked all over. Nagarjuna and his family have been in news off late for various reasons and so much is being talked about raising the curiosity big time. The super star is currently shooting for a devotional film in the direction of Raghavendra Rao and is also busy with his film school activities in Hyderabad. Wonder while so many things are going on, what surprise is Nag going to share and one needs to wait till tomorrow to find out.